Our 2018 Dopey Challenge continues with the Walt Disney World Half Marathon! We put on our best faces (yes, even Rob), as we battle the cold yet again. Seriously, these were some of our best costumes ever! 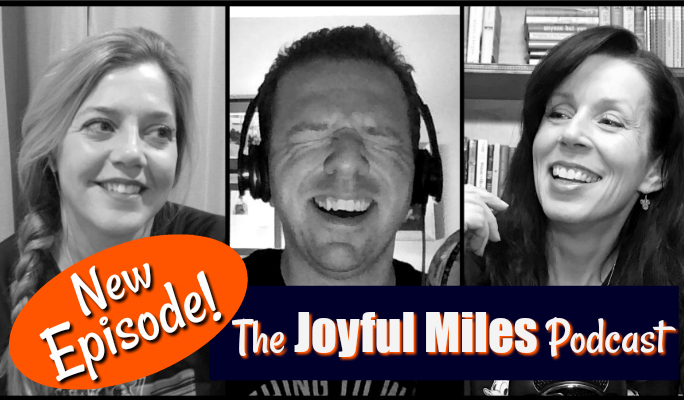 Also, we talk about what we think of the revamped course, the cast of characters we would, eventually, stop for, and all of the hilarity that ensued! Oh, and if you are running this year’s Darkside Challenge, you won’t want to miss our special announcement. Thanks for listening and have a joyful day! Want to watch our taping session? We’ve been testing out sharing that on YouTube. Please let us know if this is something you’d like to see from now on! Also, please SUBSCRIBE, RATE, and REVIEW our podcast on iTunes! We’d greatly appreciate this since it helps with our ratings! Thanks and as always, have a joyful day! Content presented on the Joyful Miles channel and other social media sites are for general information and entertainment purposes only and are not intended to replace your healthcare professional. Before beginning any exercise program, always consult your physician. Next post: And yet another “Accidental” runDisney registration, Star Wars style! Previous post: runDisney’s 2018 WDW Marathon Weekend: Arrival Day!